Have you ever dream of having beautiful thick lashes? Well, to some, lashes is very essentials to glam up the look. So the industry is so kind enough to innovate false lashes. There are many brands of false lashes. From the popularly known until the unknown brand. From the highly expensive false lashes, to the very affordable false lashes. From real human hair materials, to the synthetic hair materials. All is available in the market for you to choose. But then, there is another problem..
Lucky enough, I've got a great tips given by one of my good friend name Myra a couple of years ago. She always had the best lashes in school. Her lashes were thick but not too dramatic. It looks so natural. So one day, she told me her great magic. She wear the false lashes designed for under eye on her natural upper lashes. Highlight that ladies! There are two types of lashes available in the market. First is the lashes designed for the upper lashes. 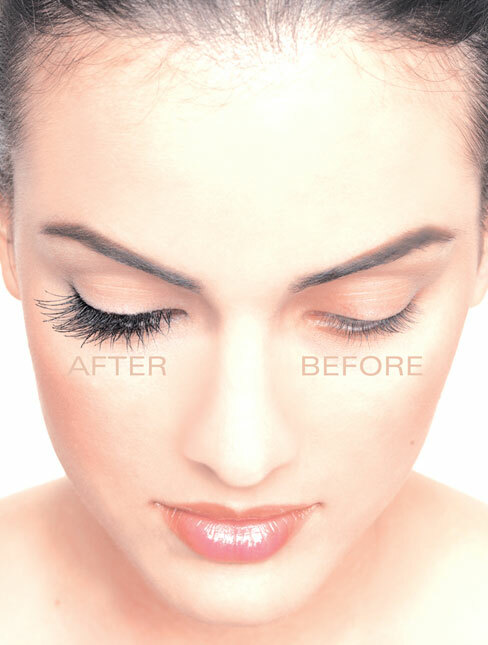 This type of lashes is what people commonly know. The design varies so much. There are thick layers, thin layers, or even with diamonds. Usually, it is very dramatic looking when being used. The second type of lashes are the false lashes designed for under eye. This type of lashes usually is not too thick and dramatic. Just like your natural under eye lashes. It must be thinner, shorter, and fewer compared to your upper lashes right? Well, the fake under eye lashes is actually designed to balance up your eyes when using very thick false lashes on your upper lash. Using the under eye fake lashes on your upper lash will make your eye lash look thicker but not in a dramatic way. This is because the under eye false lashes is shorter than the usual upper eye false lashes. Here I'm using an upper eye false lashes as my falsies. It looks great! Marvelous! But for me, I think it is too dramatic for me to use it at work, school, or even just going shopping. In the next picture, I'm using an under eye false lashes as my falsies. I know it does not look too much different with my natural eye lash, but I personally think it gives an instant kick of proportional thickness. Boost up your lashes more "naturally" ladies..